Last year, we launched our first Marketeer Event, and were delighted that Peter Sidwell joined us to share his expertise in marketing. We also worked together in the room to think about how we can collaborate to promote the city of Carlisle, and our own business within this, to raise the profile as a great place to live, work, invest and visit. 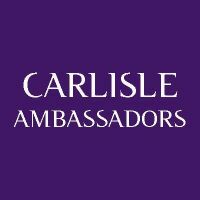 Good ideas developed, and as always with the dynamic people who connect with Carlisle Ambassasdors, conversations and partnerships between local business continued after the event. CA is a great forum for fostering these relationships, and also supporting the wider economic development of the city and wider Cumbria. It allows a positive energy between public and private sector. 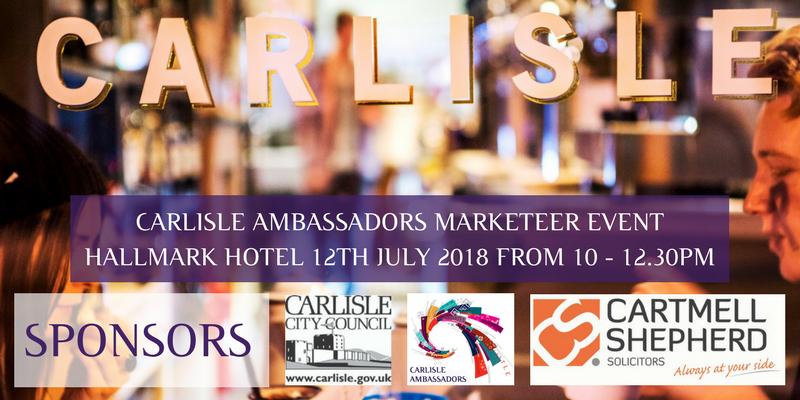 Sally Fielding This year, we are delighted to host our second Marketeer Event at the Hallmark Hotel on 12th July. One of the most vibrant and inspired business owners in Cumbria will talk - the inimitable and award winning Sally Fielding of Sally's Cottages. Many will recognise the image of Sally's desk at the top of fell or the bed in the lake, and also may know some of the background in how she set up her business from one letting property in Eskdale - check it out here if not!